Room temperature is so last season! Cold is officially in. The coolest trend heating up posh closets is mini refrigerators. A fridge may seem like an unlikely closet accessory, but it has many practical uses! Often beauty products require refrigeration for longevity (and because nothing’s more refreshing than a chilled eye cream hitting your face!). 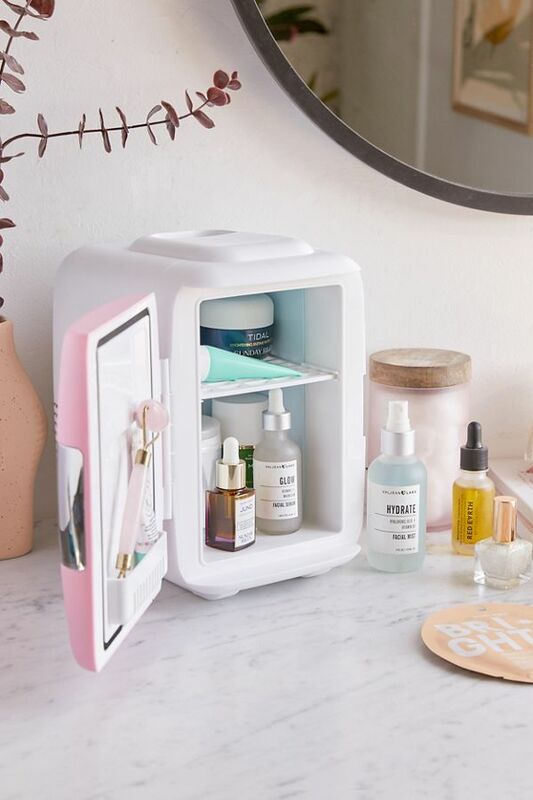 Rather than keeping beauty products near the kitchen condiments (let’s face it, Crème de la Mer shouldn’t be next to the mayo), store them in your closet or vanity for easy access. The Fashion Spot has a breakdown of what products should and shouldn’t be refrigerated. And, of course, a closet fridge is the optimal place to store a few snacks for those late night cravings or busy mornings that require a quick bite before rushing out the door. After all, who wants to walk all the way to the kitchen to satisfy that sweet tooth or fuel up?! One of the “coolest” projects I worked on was Khloe Kardashian’s workout closet, in which we installed a mini fridge for her Fiji water bottles. I love the ‘grab and go’ ease of it and it makes staying hydrated top of mind first thing the morning and before bed. If you have a large enough closet, there’s nothing better than gathering your girlfriends in your sacred space, am I right? 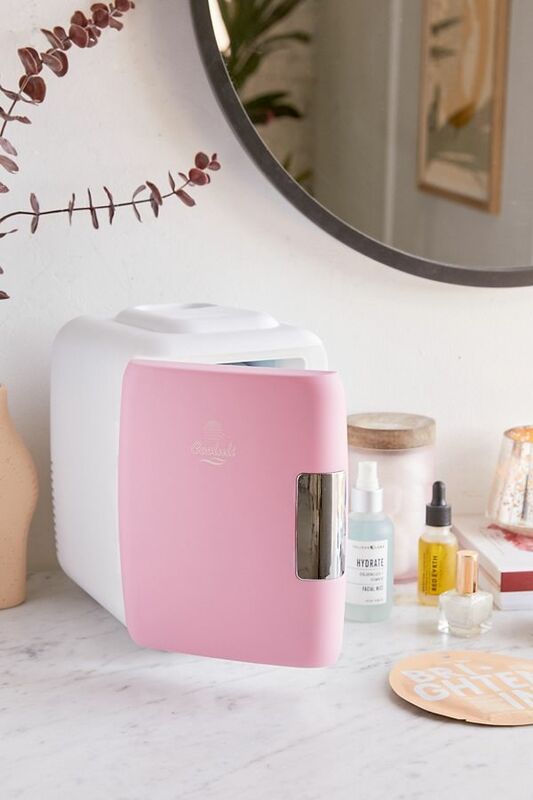 So, naturally, a mini-fridge filled with bubbles and your favorite refreshments is a luxury your friends will appreciate. I see no better way to bring the luxury shopping experience home than having champagne always at the ready. Heather Dubrow, a member of the Real Housewives of Orange County cast took this idea and ran with it, installing a ‘Champagne Doorbell’ in her closet, so the bubbles are always at her fingertips! Cheers to that! To be clear, there is a closet fridge for everyone. 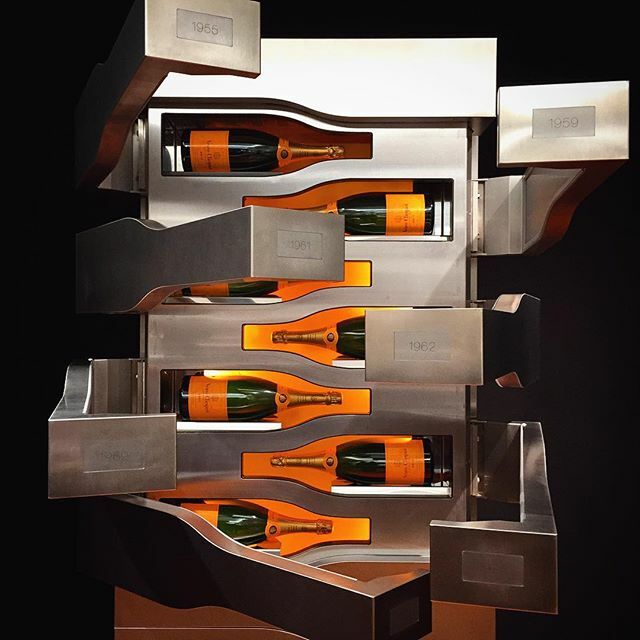 For the client really looking to make a statement, Veuve Clicquot’s Porsche-designed champagne fridge comes fully stocked and is sure to be the focal point of any luxury man-cave or diva-den. 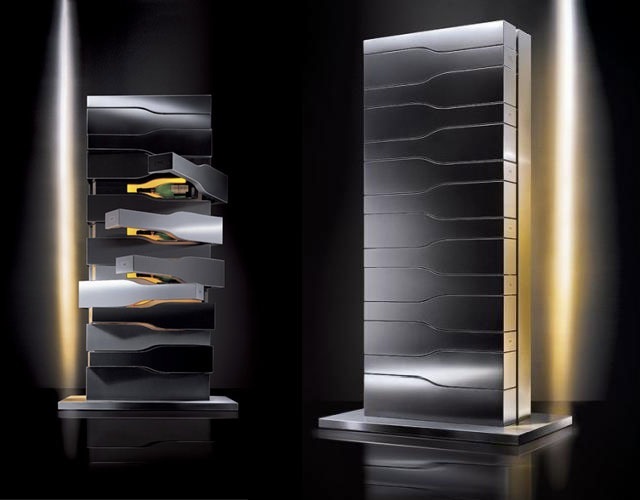 A fabulous collector piece and guaranteed conversation starter, this stainless steel behemoth stores up to 15 bottles for a pretty penny, with a mere $70,000 price tag!